The New Generation in Lawn Care! The New Generation in Lawn Care is Here! 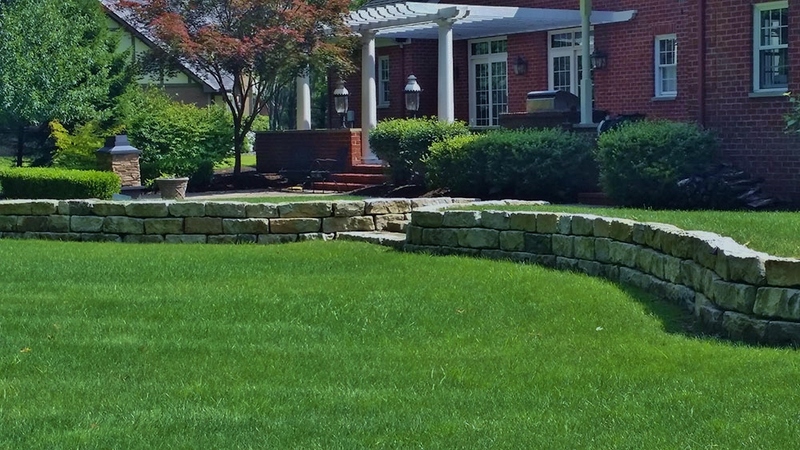 Ecoturf Lawn Care, located in Sterling Heights, Michigan, provide Professional Fertilizing and Weed Control programs. Additionally, we offer Perimeter Pest Control, Slit Seed Lawn Renovation, Deep Root Tree and Shrub Fertilizing. We also offer a revolutionary new treatment called Moisture Manger that is designed to reduce the watering requirements of your lawn and lower your water use. Eco Turf is a family owned and operated company that services all of Macomb County and parts of Oakland County, including Warren, Mt. Clemens, New Baltimore, Troy, Utica and all surrounding areas. Our local fertilizing company knows the importance of each customer relationship and hold our customer service to the highest standards. Over 30 yrs experience gives our state certified technicians the knowledge necessary to prescribe the best program for your lawn. Call 586-884-6757 today and get to know us. We are sure we can provide a program that we will both be proud of! When it comes to keeping your yard looking lush, getting it regularly fertilized is not a process that should be skipped. We offer professional grade, granular fertilizer and slow release feedings. Besides a beautiful yard, the best part of proper lawn fertilization is the enhanced weed control. From Dandelion and Crabgrass, to Ground Ivy, EcoTurf Lawn Care Eliminates them all! Save on your water bill and reduce the water requirements of your lawn with our revolutionary new Moisture Manager. I was really impressed with how they took their time to examine my yard, answer all my questions and gave me a really competitive price. Definitely recommend them to anyone looking to have their lawn fertilized. Super impressed with this service so far. They are prompt and affordable. I can't wait to see my lawn turn around with their treatments. The owner was super knowledgeable and answered all my questions. Simply Amazing. Best service in the area. I would recommend to any one. They are fast efficient and thorough. Best my lawn has looked since I have owned my house. Our lawn was full of weeds and didn't look very good. Our lawn has never looked better!!!! Along with great lawn care came excellent customer service! Brad calls to keep us informed, is very knowledgeable, and answers all of our questions! Give them a try....you will not be disappointed!!! Couldn't be happier with this company! Our lawn has never looked so good and the customer service is absolutely great!! !I've never met a man more passionate about lawn care. Brad is awesome at what he does!! Thanks ecoturf!! Our state certified technicians are proficient in lawn & soil analysis. We are sure to have the right treatment for you, regardless of what the problem is. Specially placed fertilizers will feed your trees and shrubs to improve foliar display and overall health of your landscape! View a gallery of our work. This procedure inserts high quality grass seed below the surface into the soil and results in a high germination rate. Seed type, soil chemistry and timing are critical when seeding. At Ecoturf Lawn Care, we can take out all the guesswork and give you a beautiful new lawn.